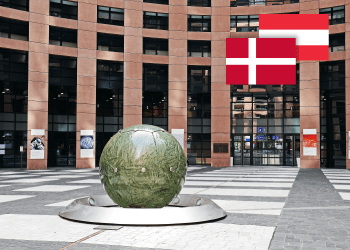 In line with Directive (EU) 2015/2436, both Denmark and Austria have implemented the necessary amendments to their respective fee schedules for trademarks. These changes came into force as of January 2019 and comprise both fee amendments and legislative harmonisation. The fee amendments for Austrian trademarks primarily affect fees for filing an application. For example, the previous cost for submission of a paper trademark application in three classes was 304 EUR and 284 EUR for an online application; however, it is now 300 EUR for paper applications in the same number of classes and 280 EUR for online applications. The fee for each additional class remains unchanged and constitutes 75 EUR. The amendments to Danish trademark legislation have impacted filing fees more drastically, with application fees now constituting one class as opposed to the previous three classes. The amended fee for registration of an application in one class now amounts to 2000 DKK in contrast with the previous fee of 2350 DKK for up to three classes. In addition, the previous fee of 600 DKK for the registration of each extra class has been replaced with a 200 DKK fee for a second class and 600 DKK for additional classes thereafter. These amendments will significantly benefit those applicants who apply for up to 2 classes. Furthermore, the new renewal fees will mirror these amendments. Renewal for applications in three classes due before 1st July 2019 will be 2350 DKK, and 2000 DKK for those applications in one class which are due for renewal on or after the aforementioned date. Henceforth, from 1st July 2019 the basic renewal fee for a trademark in Denmark includes one class and constitutes 2000 DKK, the second class renewal fee is 200 DKK, and renewal for each additional class costs 600 DKK. Moreover, the Directive contains an amendment to the current provision regarding the validity term of a trademark. Accordingly, the new term of a trademark in Austria and Denmark will be counted as 10 years from the filing date, as opposed to the previous provision of 10 years from the date of registration. In addition, the requirement for graphic representation for sounds, motions and multimedia marks has been removed and replaced with a more flexible requirement whereby the mark can be registered so long as the representation is clear, precise, self-contained, easily accessible, intelligible, durable and objective. These amendments have been directed by the EU so as to continue to harmonise the trademark prosecution procedure throughout its member states. Both Austria and Denmark have implemented changes that will modernise the trademark prosecution process and ensure a more user-friendly and flexible registration system.